If it seems as though every week there's another gluten-free-friendly burger bar opening in these parts, you're not dreaming. This time out is Benny's Burger Joint in Collingswood (712-714 Haddon Ave., 856-854-2874). 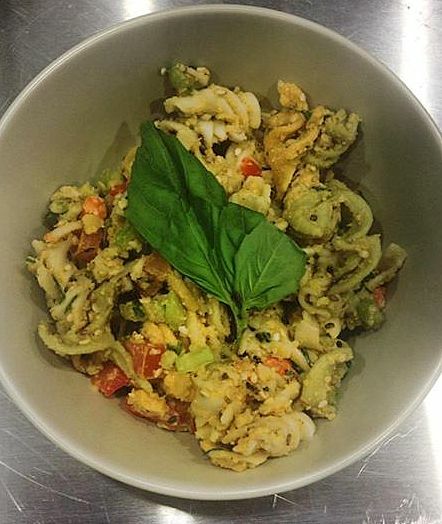 Chef-owner Alex Capasso recently closed his new American bistro Blackbird at that address to make way for the kid-friendly Benny's. (He's looking to relaunch Blackbird in Philadelphia.) Not only are gluten-free buns on hand, but the veggie burgers are also gluten free. Make note that the fries are cooked in a fryer shared with breaded sides. Benny's has started as a dinner-only restaurant, but will add lunch and brunch service later this month. In Fort Washington, Zakes Cafe (444 Bethlehem Pike, 215-654-7600) offers gluten-free and dairy-free soups and can modify most dishes that aren't already gluten free. Located on the Delaware River just north of New Hope is the Black Bass Hotel (3774 River Rd., 215-297-9260), where the in-house restaurant and tavern have gluten-free menus. At Peddler's Village in nearby Lahaska, Buttonwood Grill (Rt. 202 and Street Rd., 215-794-4040), gluten-free options like crispy olive-brined chicken and blackened salmon are listed on the dinner menu. The newest Iron Hill Brewery & Restaurant is set to open in Voorhees (13107 Town Center Blvd., 856-545-9009) on Monday. Iron Hill has gluten-free menus for adults and kids. Staying on the topic of beer, Belgian label Green's has released its fourth variety of gluten-free beer in the United States. Like its Discovery Amber, Endeavour Dubbel and Quest Tripel, Green’s Enterprise Dry-Hopped Gluten-Free Lager (4.1% alcohol by volume) is made from sorghum, millet, buckwheat, rice, water, hops, and yeast. It offers a pale gold color and light body highlighted by a bright, floral hop finish, according to the tasting notes. 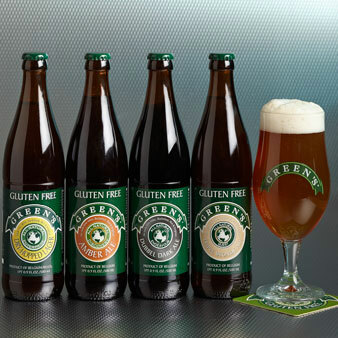 In April 2013, the Enterprise Dry-Hopped Lager was chosen as the top naturally gluten-free beer at London’s Free From Food Awards. Seven of Kraft's new Recipe Makers dinner kits are gluten free. 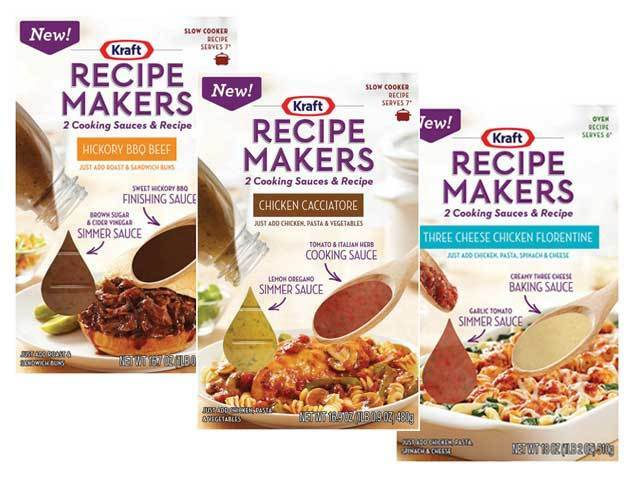 The kits contain two sauces that can be paired with proteins or pasta. 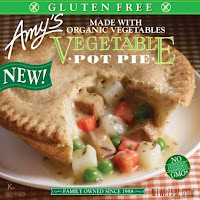 The gluten-free varieties include Three Cheese Chicken Florentine, Verde Chicken Enchilada, Chicken Cacciatore, Tex-Mex Chicken Fajita, Chicken Bruschetta Pasta, New England Pot Roast and Hickory BBQ Beef. 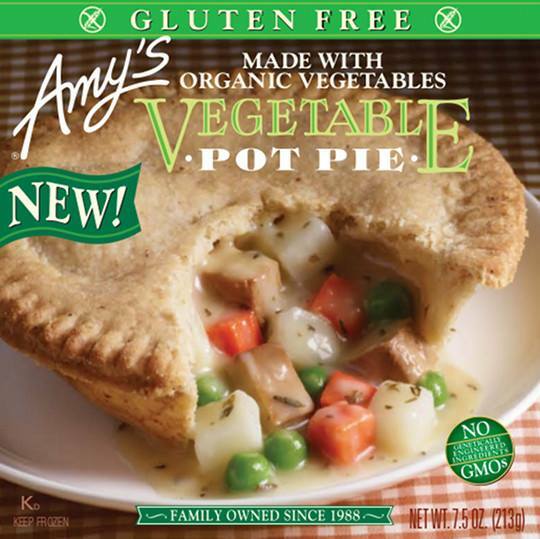 The new gluten-free vegetable pot pie from Amy's Kitchen is made with organic carrots, peas, potatoes and tofu and a rice flour crust. ALDI markets are stocking private-label gluten-free baking and brownie mixes for a rock-bottom $2.99 per package. Similar to wine-of-the month clubs, curated gluten-free snack boxes are available by subscription from many different companies at a variety of price points and lengths. You can see my comparison of the plans in Tuesday's post. At the Phillies' celiac awareness night on Friday, Aug. 16, Tonya's gluten-free soft pretzels will be sold at the special concessions stand near the group seats. Tickets are still available. On Monday, Aug. 26, the Marlton ShopRite is hosting a free "Back to School" gluten-free seminar & tour from 6 p.m. to 8 p.m. Join dietitian Ashley Cully to get advice and samples to start off the school year. Sign up at the store's customer service desk, as space is limited.